More photos from the February 2017 event! More photos from the February 2016 event! This is a Thursday through Sunday. Please refer to the drop zone website for information about local camping, bunkhouses, and nearby hotels: www.skydiveperris.com/facilities.aspx (click on "Bunkhouse & IHOP" or "Travel & Accomodations"). Price: $995 USD for 18 jumps (subject to a potential fuel surcharge*). All jumps will be 1-3 aircraft formations from altitudes of 12,500-16,000' AGL (using oxygen for jumps exiting over 15,000' AGL). This cost also INCLUDES video and still photographs of the dives which will be made available online for immediate viewing and download via www.skydivingphotography.com. * The stated event price is based on fuel prices as of July 2018. If fuel prices increase significantly between July 2018 and February 2019, P3 may be forced to add a FUEL SURCHARGE to the price of the event. Deposit Required: $250 USD, once your application is accepted, is required in advance to secure your slot. This deposit will be applied towards the total event price. The balance of $745 is due prior to 8:00am on Day 1 of the event. Traveler's Checks - Make payable to P3 Skydiving. Must be signed by you in both signature locations upon check-in. Personal Check or Bank Check - Funds must be in US$ drawn on a US bank, no exceptions. 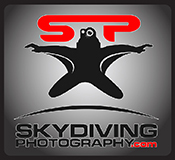 Make payable to P3 Skydiving and mail to PO Box 418, Perris, CA 92572 USA. Credit/Debit Card - A 3.5% transaction fee will be added to all credit card transactions, as well as any debit card transactions under $100 USD. There is no fee for debit card transactions over $100 USD. All credit/debit transactions are processed by PVAS. Wire Transfer - You are responsible for all fees charged by BOTH banking institutions (sending and receiving). Inquire with Brenda brenda@p3skydiving.com for banking information. Start Time: 8:00am on February 21st. Please be registered, waivered, gear checked and ready to jump at this time. Please make your travel arrangements accordingly. Start times for subsequent days will be announced at the end of the preceding day. Release Time: 5:00pm on February 24th. Please make your travel arrangements accordingly. If you have to leave early on February 24th, be aware that you will pay for the entire day regardless for how many jumps you made. Cancellation & Refund Policy: If you cannot honor your commitment to this event and you cancel within 30 days of the event start date, your $250 USD deposit will be retained as a late cancellation penalty. If you cancel prior to 30 days before the event, your deposit will be fully refunded. What do I need to bring? Current USPA (or recognized aero club) membership card, photo identification (driver’s license or passport), signed logbook, and ALL JUMPSUITS and/or WEIGHTS -- or an empty weight belt if you plan to rent weights from Square 1 -- and/or SWEATSHIRTS to ensure your best performance in each skydive regardless of the fall rate. Also, needless to say, please be sure your reserve is in date. Questions? Please address administrative questions regarding registration and payment to Brenda L'Heureux brenda@p3skydiving.com. 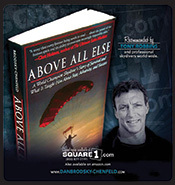 Questions about the event and your qualifications can be addressed to Dan BC danbc@skydiveperris.com.